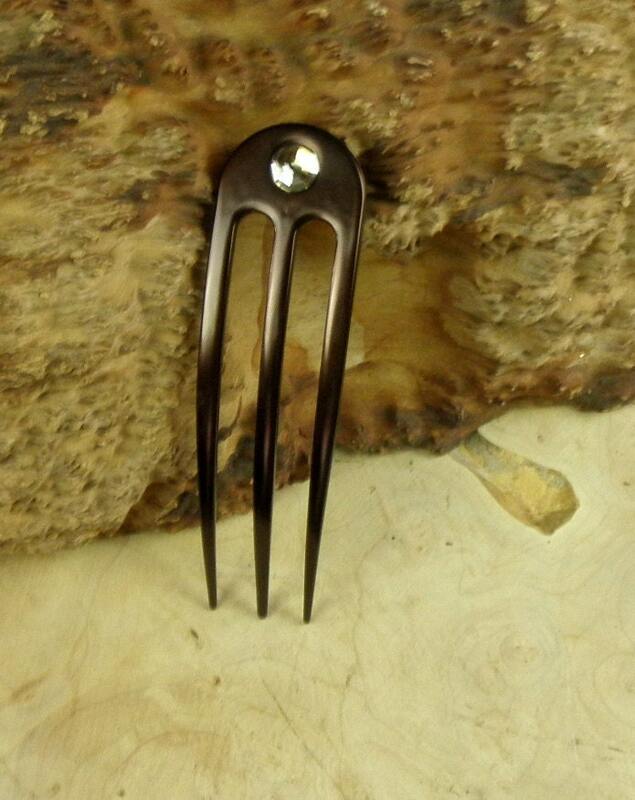 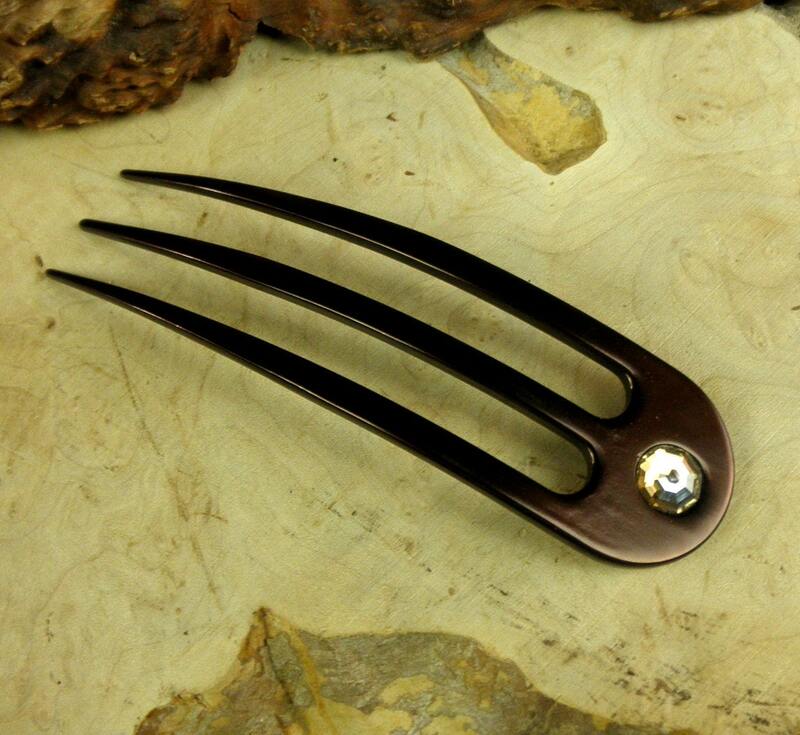 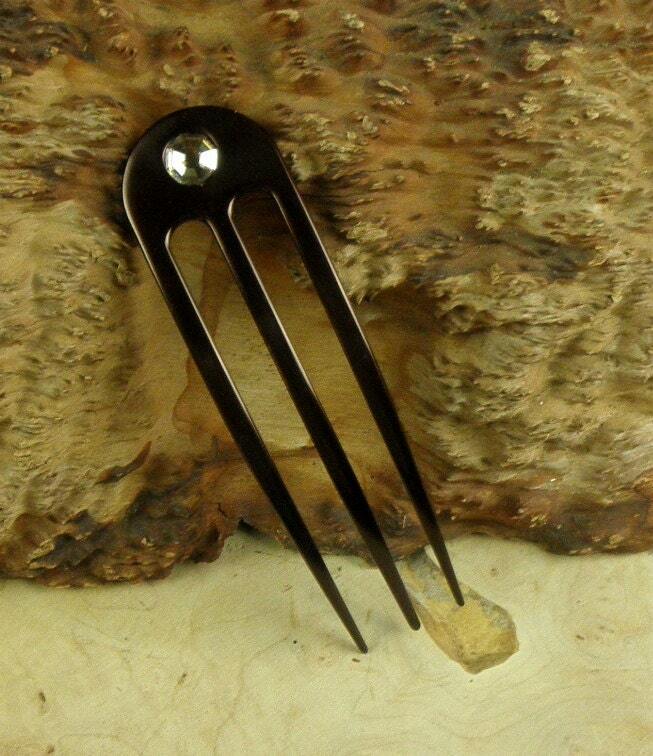 I have made 6 SPECIAL 4.9 inch Brown Curved Aluminum 3-prong hair forks with a Swarovski Crystal Golden Shadow gem. 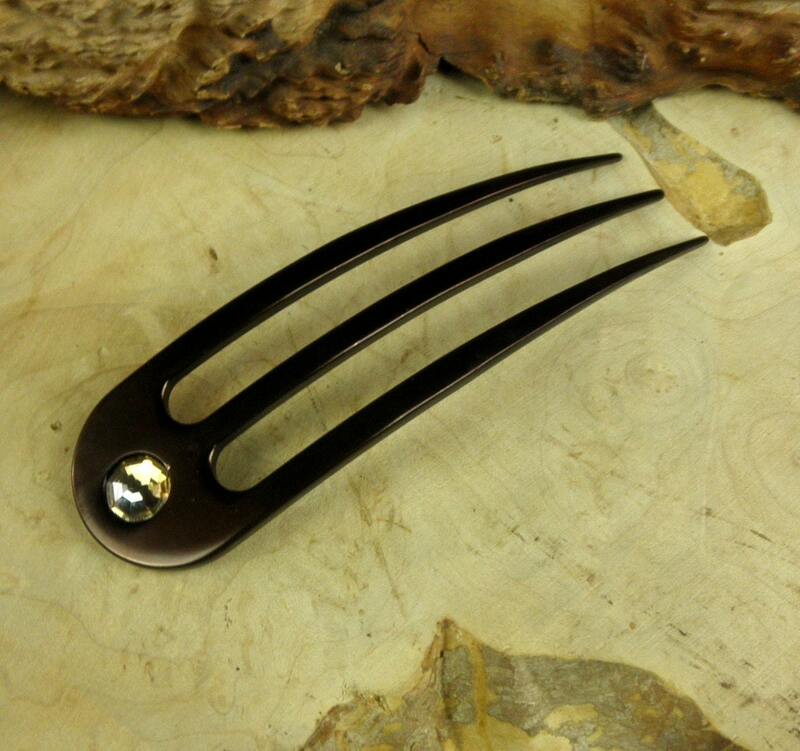 I feel the colors blend quite nicely and give a subtle and elegant contrast. 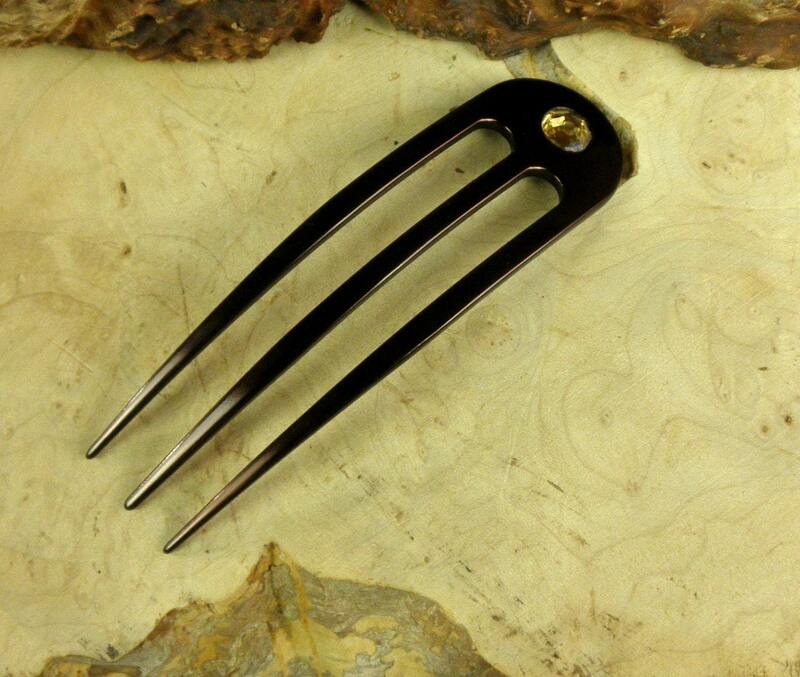 You get ONE Brown Colored Anodized Aluminum 4.9 Inch Curved 3-Prong Hair Fork With Swarovski Crystal Golden Shadow Gem Mounted in this sale !